NaNoWriMo at Oakton | What's On My Nightstand? November is National Novel Writing Month (NaNoWriMo). 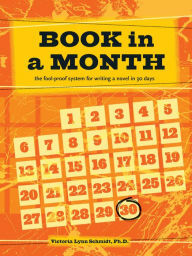 “National Novel Writing Month (NaNoWriMo) is a fun, seat-of-your-pants approach to creative writing. On November 1, participants begin working towards the goal of writing a 50,000-word novel by 11:59 PM on November 30” (NaNoWriMo). Oakton Library is an official Write-In location and hosts events for NaNoWriMo participants throughout the month of November. Interested in writing your own novel? Check out our link to our NaNoWriMo LibGuide for more information about NaNoWriMo at Oakton. Here are a few items we have on reserve to help you write that novel. “Chris Baty, founder of the wildly successful literary marathon known as National Novel Writing Month, has completely revised and expanded his definitive handbook for extreme noveling. 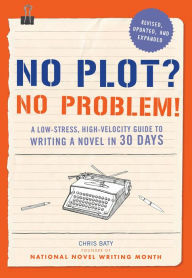 Chris pulls from over 15 years of results-oriented writing experience to pack this compendium with new tips and tricks, ranging from week-by-week quick reference guides to encouraging advice from authors, and much more. His motivating mix of fearless optimism and practical solutions to common excuses gives both first-time novelists and results-oriented writers the kick-start they need to embark on an exhilarating creative adventure” (Creative content provided by Syndetics). So what are you waiting for? If you’ve been putting off your book project, let Book in a Month be your guide and find out just how much you can accomplish” (Creative content provided by Syndetics). “Designed by a longtime creative writing teacher, this innovative kit includes a 64-page booklet filled with exercises and instructions that focus on a “right-brain” approach to writing. Sixty exercise sticks: First Sentences, Non Sequiturs, and Last Straws will get stories off the ground, 60 cards fuel creative descriptions, and four spinner palettes will ignite unexpected plot twists. For any aspiring writer, this kit is the perfect first step on the path to literary greatness!” (Creative content provided by Syndetics).